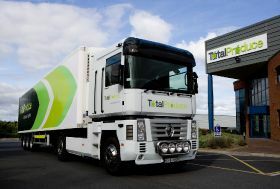 Total Produce has announced several changes to the makeup of its board, with two future retirements and a new appointment on the horizon. The group has revealed that executive director Frank Gernon and non-executive director Jerome Kennedy will both retire prior to Total Produce's 2020 AGM. In addition, Helen Nolan, currently a senior executive and company secretary for Bank of Ireland, will join the board as a non-executive director with effect from 1 July 2019. “Frank has been an integral part of our group for over 45 years and has served as an executive director of Total Produce since 2007," said chairman Carl McCann. "His outstanding service, dedication and accomplishments have been invaluable. During his tenure he has played a key role in the stewardship and development of the group. "Jerome has served as a non-executive director on the board and its committees since the formation of Total Produce Plc. The group has benefited greatly from his business acumen, professionalism and wise counsel over the years. "I join the board in extending to Frank and Jerome our sincerest appreciation for their dedication and commitment," he continued. "Their valuable contributions have added greatly to the success of Total Produce. We wish them the very best for the future."